Ever feel like something inside of you is out of harmony? Feminine Balance is designed to safely support your sleep, your hormones and emotions all while helping to battle pain and inflammation. In purchasing this product, I am aware there is an error on the ingredient list for Feminine Balance. This product contains sage not clary sage as the box and bottle mention. Sage is excellent for hot flashes, PMS issues and for alleviating cramping during periods etc. It also is considered a metabolism boosting herb but it may (in high doses) contribute to a lessening of milk supply in nursing women. While it is highly unlikely Feminine Balance contains enough sage needed to help dry up milk, (as there are only small doses included) I am aware of this ingredient and choose to purchase regardless. This whole-herb infused formula has your anxiety levels, your immune system, your weight struggles and your hormonal wackiness in mind. Feminine Balance is a full-spectrum hemp formula infused safely with hormone-balancing whole herbs to support your endocannabinoid and hormonal systems. Feminine Balance provides 300 mg of organic CBD in each bottle. You can take half to one dropper full once or twice a day or just as you feel you need it throughout the day or night without fear of overdosing. You will find your sweet spot as you adjust dosing according to how your body reacts. 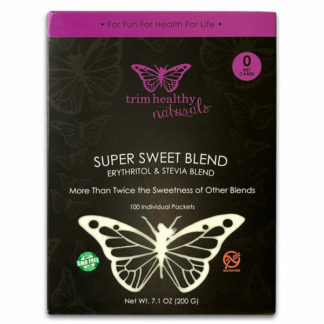 This is the first product in our Trim Healthy Hemp series, and it is formulated specifically for women. Feminine Balance is safely infused with whole herbs (rather than essential oils which can be fantastic but should not be overused) that are known to balance and support your female endocrine system. Women of all ages can use Feminine Balance whether in child bearing years or pre or post menopause. Current studies have shown that CBD has powerful anti-inflammatory, anti-anxiety and anti-depressant qualities. It is also used successfully as a seizure treatment, cancer fighter and tumor preventative, sleep aid, neuro-protectant and cognitive enhancer. CBD also supports healthy heart function, vascular health and gastrointestinal health to name just a few. Concerning women who are expecting… Our Feminine Balance CBD can be used by mothers on the day they give birth and beyond. However, due to the inclusion of the herb clary sage in the blend, we do not recommend it for pregnancy. In the near future we will be working on a formula that will be compatible to the unique issues of pregnancy so all our blossoming mamas won’t feel left out. CBD oil provides an array of medical benefits and it is widely used by breastfeeding women. Of course, we must advise that you do your own personal research and check with your healthcare provider or midwife if you have any concerns. 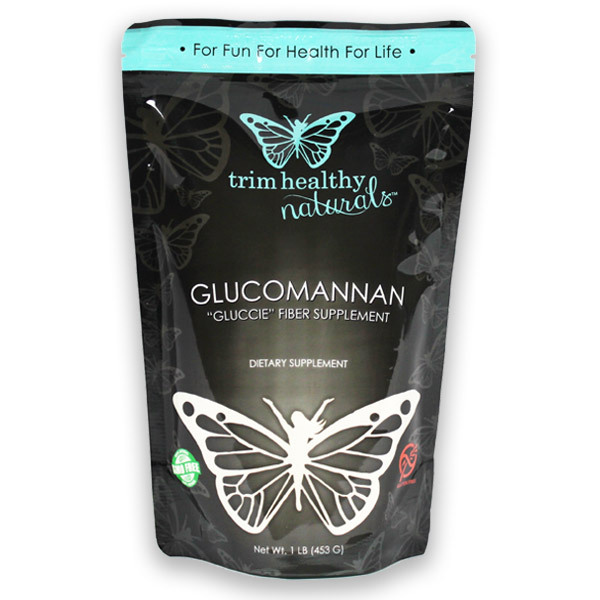 FDA DISCLAIMER: This product is not intended to treat or prevent any illness or condition. Use at own risk. *The 2018 Farm Bill, passed by Congress, removes all industrial hemp and CBD products from the federal Controlled Substances Act (CSA). While states still have the right to restrict production and sales, it is now fully legal to purchase, possess, and consume in all 50 states. *Full spectrum CBD oil as contained in Feminine Balance may show up as a positive on certain urine tests (although very unlikely in blood tests). Please read our FAQ for more information on this. *Organic Mixed Berry Flavor: Our organic mixed berry flavoring is a proprietary blend that can include any type of organic seasonal berries. If you have an allergy to any type of berries, please avoid usage. USAGE: Place 1/2 to 1 dropper full under tongue and allow to absorb for minimum of 30 seconds. Take once to twice daily or as needed. Part 1: Your Endocannabinoid System. Part 2: Hemp: A Wonder-Healing Plant. *For additional info, please visit our THM CBD FAQ. *Click HERE and HERE to view the COA (Certificate of Analysis) for this product. This stuff is awesome. I bought it and I am in my middle 60’s, my daughter is 49, and granddaughter is 16. It worked well on all our us. It’s amazing. It really helped with my granddaughters hormonal issues, it calmed me down and made me feel relaxed but yet gave me lots of energy. It has worked on my daughter and my anxiety. Can’t wait until the male formula comes out. Cerebral Palsy Benefits!!!! Just 1 dose and I feel like a whole different person. My pain level has significantly decreased and it stopped my “Dyskinetic” Twitch Spasms that effects my head. I have never experienced this level of relief with my Cerebral Palsy without Prescription Medication for muscle relaxers. I cannot believe I feel such relief from the first dose! Just ordered my second bottle, loved how it made me feel when I used the first bottle. Taste is ok, much better then original cdb oil which is nasty. I am 72, suffer from depression, this stuff changed that within 24 hours. I was so surprised it worked so fast. I have been having knee pain for several months , and after about a week of taking this, I noticed the pain was gone. I ran out of it two days ago, and my knee pain is back. Waiting for my new order to arrive today! I have tried everything to stabilize my hormones and my moods and nothing worked. I’ve wasted a lot of money trying all these things and had all but given up. I didn’t understand why one week out of the month I was basically a raging lunatic. I knew it wasn’t me and I felt like I was trapped in a body and mind that didn’t do what it was supposed to do. I felt like I was ruining my children’s childhoods and I didn’t want that version of me to be the mom they remembered growing up. I prayed, a lot, but for whatever reason, my healing didn’t come that way. Most recently, I spent $400 on some supplements from a popular mlm company that is supposed to help with gut health and improve mood. I used them for almost 60 days and they did nothing and made me so sick to my stomach. I requested a full refund on those! I started this CBD blend at the beginning of February and am at the tail end of what I used to call “hell week”, the week of the month before my period that used to be unbearable. It wasn’t perfect, but instead of having entire days that were miserable, I only had a couple of incidents, about 5-10 minutes each, that were hard. In those moments, I took an extra 1/2 dropper and mellowed out quickly. I am so thankful for this, for feeling normal again! It has also helped dramatically reduce headaches as well, probably from my ability to handle stress better! I am reordering today and thankful that this is 1/4 the price of everything else I tried and it actually works! As for the taste, I like it. It’s different but I am used to herbally type things! Thank you Serene and Pearl!! Years ago when I found you, I lost 85 pounds (which I have to do again because I had another baby lol) and now I have my mind back. I am ordering my second bottle. I have noticed better sleep, less anxiety, and a calmer mood overall, but the biggest thing has been the balancing out of my cycle. For a few years now, I have been having very close cycles, usually only about 2 weeks from the end of one to the beginning of the next, and also much breakthrough bleeding in between. After about 2 weeks of Feminine Balance, that bleeding stopped, and my cycles are back to being about 28 days apart, just like they have been my whole life. That alone is worth it to me and the other benefits are extra gravy!! I take .5 dropper in the morning and that’s it. I did find that taking it at night interfered with sleep, but the morning dose actually helped with it! Thanks for such an amazing product!! I purchased CBD oil with the hopes that it would help with the sciatica pain I’ve endured for several years. I even mentioned to my Dr. who prescribed steroids to help. I had ordered the CBD oil, so I decided to try it before the steroids. It’s been over a month on CBD oil (I ran out of yours and purchased another brand) and I have absolutely no sciatica pain whatsoever. Your brand is much more palatable and I’m ordering more today! Thank you for a brand name I know I can trust! I started using this Feminine Balance oil about 3 weeks ago. I started with .25 ml twice a day. After about 3 days, I noticed I was sleeping much better and MAYBE my joints weren’t as achy. Then I had something come up at work that I knew always caused anxiety attacks in the past. I decided to take .75 ml before heading to my office. 5 1/2 hours later, I realized that not only had I not had any anxiety, I had worked those 5 1/2 hours without a break (or coffee) and felt much less brain fog than I’ve felt in years! Since then I’ve tweaked my dosage and found what works best for me is .75 in the morning and .25 at night. I’ve been able to cut my 5HTP dosage in half and have yet to feel like I wanted to kill someone. I’m hoping to eventually drop it all together. I could go on and on about how much I love this stuff, but I’ll spare you! The only thing I would suggest is a lighter colored bottle so you can tell when it’s getting low. As it is, I’m ordering 2 bottles today so I always have a full one on hand. Thank you so much for coming out with this! I just bought three more bottles! My doctor in the UK put me on blood pressure meds the day before Feminine Balance was released. When I read that it can help blood pressure I ordered it immediately and discontinued my meds. Today I saw the doctor again for the first time in a couple of months and he says my blood pressure is great! But the best part of CBD has been an experience I haven’t seen reported by anyone else. I had a long heart to heart conversation with my hubby that in the past would have led to lots of drama and crying and manipulating (all on my part!). I had taken a bedtime dose of Feminine Balance about an hour before we began to talk. I was able to speak rationally, calmly, and truthfully without manipulating him with my words to get him to see my point of view. This is a HUGE victory to me as this has been an area I have struggled with for our whole 25 years of marriage. I’ve never directly lied to him but I sure have bent and twisted the truth to get what I want. I’m calling Feminine Balance my Truth Serum. I’ve been trying to figure out how to describe what this product does for me, and yesterday it finally came to me. It has synced my radar. I’ve always been a frustrated perfectionist. I know there is a perfect way to do everything. Add in a dash of OCD and it’s total misery actually. Wiping down the counter after dinner could turn into 2 hours worth of re-arranging everything because there is a functionally perfect way to have your kitchen arranged. And it isn’t just MY life/issues of course. I take on family and friend’s as well. I put all of the concern on my back because, you know, there is a perfect way for every situation and what if perfection doesn’t happen? And did they ask me to? Course not. And then Feminine Balance happened. It synced my radar. I do what I need to do without seeing everything else around it. I am able to be aware of family/friend’s situations without feeling like I have to figure out what’s best. Before Feminine Balance: Check engine light in my car came on. Hubby says he looked at it and ordered a part, and it won’t affect daily driving. Worry that the car won’t start when I get in it next time. Look up the issue to see if there is information that I don’t have and determine for myself if I should worry. Stress over it. Keep what-if on my radar. After Feminine Balance: Thank hubby for taking care of me.Know that I’ll deal with an issue IF it happens. Take care issue off my radar. I don’t know how or why, but I know I’m thankful. I was a MAJOR SKEPTIC, but now I’m a TRUE BELIEVER. I have general anxiety and started waking up with anxiety attacks at night. I bought this and noticed when using with magnesium cream they went away. I thought it was a fluke and when I ran out found a cheaper CBD oil and within a week the nightly anxiety returned. I’ll be a regular user from now on. I’m a huge skeptic. I bought this assuming I would notice no difference in anything. Boy was I in for a surprise. I am an extremely anxious person. Anything that goes not according to plan is a huge deal to me. I plan for 1,000,001 “what if” scenarios. My anxiety can give me major mood swings, even from small mundane situations and affects my sleep. Since starting CBD oil on Christmas Eve I am a different person. I’m more patient with my kids (and most know how kids always attempt to deviate from your plans). I was even able to go on an impromptu vacation to a city I’d never been to before – and enjoy myself! I convinced my sister to try it for her depression, and she’s seen improvements as well. She especially suffers from seasonal depression and hasn’t had to use her light machine since a few days after starting the CBD oil. She has more energy and sleeps a lot less, which is huge since she suffers miserably through year-round allergies. The only downside is the flavor. I have strong food aversions brought on by flavor. I started by literally just plugging my nose so I couldn’t taste it, and then following with something flavored to drink to rid my mouth of the taste. I’ve since adjusted and, although I don’t enjoy the flavor, it’s well worth this tiny negative. And, of course, it’s always nice to find a product from a source that you trust. Thank you, THM, from the bottom of my heart! I started this the first of the month (January, 2019). I wasn’t thrilled with the taste, but have gotten accustomed to it – I think it may be the “oily” aftertaste I get. I ran out of my first bottle a couple of days ago, and wasn’t sure if I wanted to buy more or not. The second morning I was out I woke up sweating (something I’ve done for years since menopause), and realized I hadn’t been doing that all month since starting the oil. I also noticed that my hip, which has been giving me trouble for a couple of years, also started hurting when I got up from my chair at work (realized it hadn’t been hurting all month!). I decided after that pain started again it was worth getting another bottle. Thanks for all you do for us. I’ve been using Feminine Balance for two weeks and hadn’t been completely convinced yet. My anxiety did seem less but I wasn’t noticing a huge difference until today. I started my menstrual cycle without any of my usual PMS symptoms! I usually have severe PMS with mood swings that sometimes dip into depression, horrible cramping, bad food cravings or complete loss of appetite, no energy…there have been times I can’t even get out of bed for two days. So this morning when I started I was completely shocked! I thought maybe I was still a few days out and was just waiting for my craziness to kick in. This is the best I’ve felt for years! I’m not tired or cranky or unbearably sad. I’m now absolutely convinced by this product and will be reordering! I suffer from anxiety and depression I have been using this for over 2 weeks and it’s been AMAZING!! I haven’t even had to take my anxiety medicine. I feel relaxed, happy and emotions not all over the place . I love it . I love this product – it is helping my chronic pain from autoimmune disorder/fibromyalgia, and also my depression/anxiety. I’m sleeping better and have much less pain overall. The taste is not fabulous, but I can deal with it (place the drops under your tongue for best results). My only complaint is that the packaging makes it *EXTREMELY* difficult to tell when it’s running low. I tried holding it up to the light, and even putting my phone flashlight behind it, but the bottle is just too opaque. By the time I noticed I was having a hard time getting the product up into the dropper I had less than two days’ supply left, and ran out before my new order arrived. Is this something you could change in the future? Maybe a dark brown bottle instead of completely opaque black? It would really help! Thanks THM, for another great product. I like the taste! Does it need to be refrigerated? So glad to hear you like the taste! It does not require refrigeration and it is best stored in a cool, dry place with little exposure to light. I cannot believe how much my sleep has improved. I have a fit bit and it tracks my sleep. I used to sleep 4 – 6 hours a night with very little deep sleep. I’m getting much more deep sleep and sleeping 6 – 8 hours a night. My mood is more stable, my brain fog is getting better. Thank you so much for this product! Can I take this with generic Zoloft? I’ve been taking this product for a 2 weeks now and at first the taste was awful but it did help me sleep better. I started .25 4 times a day and made sure i had some water after the 30 seconds. I notice now that I’ve gotten used to the taste and now to 1/2 dropper full 2 twice day. Just a suggestion to get through the taste. We’re so glad you were able to adjust to the taste, Sheryl! Great suggestion to start with a lower dose at first. Fantastic that you are seeing improved sleep! Taste is terrible (the berry helps, but the natural plant comes through strongly), however, the results are worth it. The biggest improvement I’ve noticed is my legs not hurting from poor circulation. Has also helped focus, nap decrease, and mood swings. Hey Jenn! There are many that find the taste pleasant, but we are so glad that the benefits outweigh the issues you have with the taste. You may find that it won’t be long before you grow accustomed to the taste. I started taking Feminine Balance twelve days ago because I had tried everything else in an effort to sleep! (Melatonin, essential oils, Rx meds, massage, exercise, no caffeine, etc., you name it.) My sleep has been horrible since our 16yr. old son died 7 years ago, but had just begun getting back to a decent night’s sleep last year when I got the news that my mother had been hit and killed by a car in October. After that, my sleep was horrendous once again. In October, it was 2-4hrs. of sleep with horrible nightmares, and December wasn’t much improvement (4-6hrs. with nightmares and waking several times throughout the night). Since taking Feminine Balance nightly, I’ve been getting a consistent SEVEN HOURS of sleep with no nightmares or waking throughout the night! Last night, I got EIGHT HOURS of uninterrupted sleep. This product isn’t cheap for me, but it’s worth every penny!!! Hello, I’m considering trying this product but just concerned because I take atenolol for blood pressure. Can you tell me if there are interactions with blood pressure meds? I have been taking this for about 3 days. I struggle with depression and anxiety, headaches and high bloodpressure. I feel as though I have been happier and more relaxed. Not sure if it’s a placebo effect or for real. But I will continue to take it until I am out to really get a good measure of it. The taste is horrible and I gag, but….if it helps, it’ s worth it!! Thank you THM for always trying to help and improve our health. We’re so glad to hear that it is helping! Many find the taste quite pleasant and we hope that you can adjust to the taste so you can continue to receive the benefits of the product. In my neck with horriable pain . I stated the drops along with acupuncture and I honestly have to say I haven’t felt this GREAT for 3years. Love it love it !!! Can this product be used on men. My husband has severe insomnia. I would love to be able to help him as well? I am on thyroid medicine will this bother me? I have been regularly struggling with severe fatigue and started to feel depressed and hopeless. It has been a long journey of fighting for health and though I have a long way to go, this product has made all the difference for me. I wake up bright eyed and ready to tackle the day, I feel an increase in joy and peace, no more sleepless nights, and no more depression! I am getting outside with the kids everyday now, and having more productive days! The fog has lifted!! THANK YOU FOR DEVELOPING THIS PRODUCT!!! I love it, and I’m telling everyone! I just read through the other reviews and have to say I’m totally stumped…the taste is so completely off putting I’m having a hard time using it! I feel like I’m eating leaves and grass. And it was really helping with my insomnia. I didn’t find it helped with any aches or pains I had and my moods didn’t seem to change. I primarily bought it to help with sleep. Unfortunately I just can’t get past the awful flavor! We’re so glad to hear that it has helped with your insomnia but we’re terribly sorry that you find the taste of the Feminine Balance unpleasant. We are all so very different and although many find the product quite pleasant, we do understand that not everyone has the same opinion on this or any product. This is simply a matter of individual taste. We hope that you can adjust to the taste so you can continue to receive the benefits of the product. I love this product! Everything appears …. enhanced? Everything just seems clearer and brighter like a fog has lifted and I’m so excited about it. I also was able to quit using ibuprofen daily for all those aches and pains. I already ordered my 2nd bottle! HI. Wondered if this is helpful for women past menopause? I am having a difficult time sleeping. I’ve been using this for a week, purchasing it because of sleep issues (waking in the night and not being able to fall back asleep), and I’m now having THE BEST SLEEPS! So thankful for this. I purchased my two bottles while visiting the U.S., but now that I’ve seen the benefits, I know I will want to purchase more when these run out. Would love if it could be shipped to Canada! We are unable to ship Feminine Balance internationally at this time, however, we will continue to research international regulations in hopes that we can make this product available for export at some point in the future. The second day I used it I felt more at ease. I felt calmer and more refreshed. I also felt like I had more energy. When I first read the reviews from the control group, included in the introduction email, i didn’t believe that this product could do what they said it did. I have been diagnosed with stage III of adrenal fatigue a year ago. Climbing out of that hole has been a long journey. Living in Alaska and having 5 hours of daylight in November though January is very hard. Half a dropper if this magic and I am ready to move the mountains. Darkness makes it hard to be motivated to do anything. This potion gets me going. I had done more in the last 3 days than in the last 2 weeks. Holy cow! This stuff is amazing! I have an autoimmune disease that is super painful. I feel so much better since taking the CBD oil. My joints don’t ache all the time. And I sleep better too! Thank you thm! I’m so grateful for this product. As someone with an siezure disorder and chronic pain I can say this product works. O have been siezure free, and my pain and swelling has reduced in the fee weeks that I’ve started taking the sisters Cbd oil. The oil has a light berry taste. It has also helped my mother with her eczema flare ups when applied topically. Product is well researched as well. Great job Serene and Pearl! Thank you! I started mine today, 1/2 dropper per dose x 2 doses. Am I imagining more energy and less pain this quickly?? Is that even possible? I just know I’ve got a desire to get up and get busy. If it’s from this, I can’t wait to see what happens after a few days! Where has this been all my life???? Yes, yes, yes! I was so happy when I found out THM was going to start selling this product! I trust everything they sell. When my hemo extract arrived in the mail I began using immediately. Instead of the recommended dosing twice a day, I use a half dose 4 times a day. The absence of anxiety is the most wonderful part of my experience so far. I have been sleeping better. My appetite is much better. My chronic pain is diminishing. I bent over to put my heavy pot away earlier today and realized I felt no pain in my lower back at all! Amazing! I’m so thrilled!! I’m very happy to find a trusted source for CBD oil. I found the taste a little “grassy” but the additions give it a more pleasant taste. You can follow the oil with a sip of moonshine or your drink of choice. Taken it 1 time so far. WOW! Can not believe how good I slept and the energy I have today. Will be using this for life. Thank you THM 🙂 !!! The flavor is reminiscent of raspberry chocolate. I love it. Thank you so much for this amazing product at an even more amazing price. I don’t know how you ladies do it, but I am so grateful. Has anyone been drug tested and passed while using this. Cant afford to risk losing my job. Hi… I am just curious. I have read about CBD oil but but did not know which brands could be trusted. I was excited to see THM would be coming out with it soon. I thought CBD oil was for males and females. I had told my husband we would both try it. Can you tell me why it is targeted for females? Thank you! What is the thc content in your CBD? I am in the military and regularly get drug tested so I have to be very careful.